Durban, South Africa– It has been said for some time now that Durban’s Amanda ‘Mad Dog’ Lino would make her anticipated return to the EFC Hexagon in Durban soon, and that her fight would be the first in the organisation’s women’s division to feature on the main card. What has not been clear, up until today, is whom she would be facing. Making hew way across continents, all the way from France, fighting out of LaBone Ecole in Montpellier, Isabella Pare is a lady on a mission. Sure that she will garner the same success that her fellow countryman have done in the EFC, Pare has gladly accepted the task of going head-to-head with ‘Mad Dog’. Unlike Lino, who only made her professional debut at EFC 38, Pare has been competing professionally since 2014 and has accumulated an undefeated record of four wins and zero losses with a single draw. Having an even spread of TKO and submission victories with a majority of them being in the early rounds, she has proved that she is one to always hunt for the finish. ‘Mad Dog’, famous for her powerful TKO victory on debut has made waves throughout the MMA world in an incredibly short period of time, and if it wasn’t clear before, it is now well known that Lino too is sure to come out looking with nothing but fast victory in mind. The upcoming scheduled match-up between these two top MMA prospects, entering with what are bound to be similar strategies takes place at EFC 43 in Durban on 27 August, and in the spotlight, on the main card, they join the double title fight line-up. 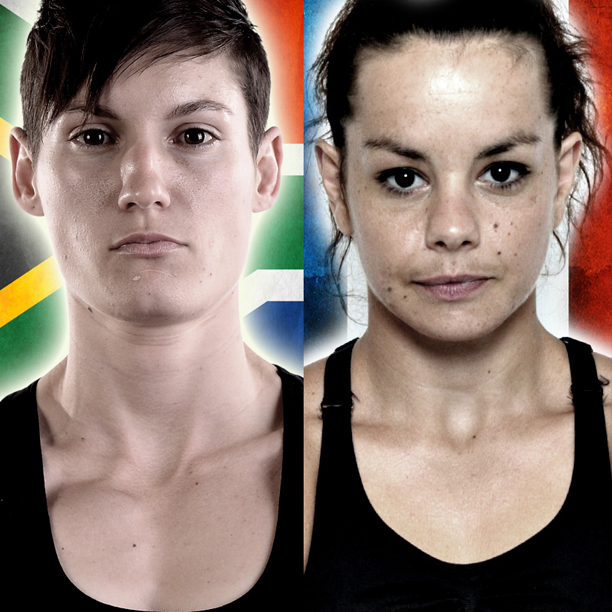 EFC 43: Buirski vs. van Staden, presented by BetXchange.com, and takes place at Durban ICC, on Thursday 27 August 2015. Tickets on sale soon at www.computicket.com. Book your cinema ticket to all fights live and in state of the art digital projection at www.sterkinekor.com.